Is nursing in England experiencing a fundamental moral crisis? A number of recent high-profile reports about the state of nursing care in English hospitals certainly add weight to this argument; however, although the intense media attention on the decline of compassion in nursing has highlighted some of the issues, it has neither explained the underlying causes nor signalled a realistic solution. In this timely and important book, a collection of expert authors with a wealth of academic and practice experience examine the multitude of areas that need to be understood, and issues that must be addressed, before the policy recommendations triggered by the latest furore can be realised. These include: * Policy perspectives on compassion* Analysis of the historical roots of the concept of compassion* Examination of compassion in a contemporary nursing context, including patients' perspectives* The organisation of services to deliver compassion* Approaches to supporting staff to provide compassionate care.Compassion in nursing has become an issue of national attention in England; however, there has been a tendency for sensationalised reports to win out over analysis. This book explores the issues involved in more detail and depth. It is an essential resource for nursing students, practising nurses and health service managers, and anyone else interested in creating a compassionate health service. Introduction: The Context of Compassion.- 1. Compassion in Care-the Policy Response.- 2. Compassion as a Philosophical and Theological Concept.- 3. Compassion in Nursing: A Concept Analysis.- 4. What Compassion Means: the Person and Family Perspective.- 5. Healthcare Culture and Intelligent Kindness in Practice.- 6. The Components of Compassion.- 7. Improving Patients' Experience: The Point of Care Programme2007-2014.- 8. The Emotional Labour of Nursing.- 9. Managing for Compassion.- 10. Restorative Supervision-Implications for Nursing.- 11. 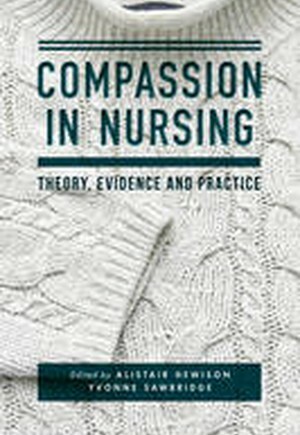 Compassion, Emotional Labour, and Public Service in the United States.- Conclusion: What Next for Compassion in Nursing?.